Spicy Chicken Wings is the best appetizer! 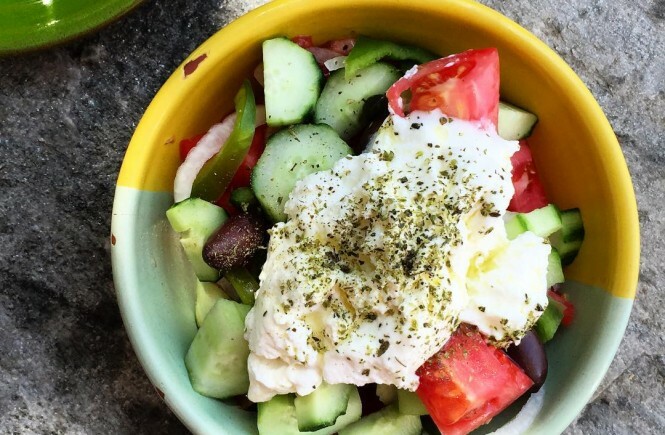 Summer is getting pretty hot in Greece, and if you find yourself on a Greek island, enjoying the summer breeze and in need of something tasty and savory, this is the recipe you ask for. Chicken wings are very easy to find in most supermarkets around the world. You can swap them for chicken drumsticks, but if you love crunchy texture, you’ll stick to the original recipe. As far as the coating mixture goes, I guarantee that baking powder brings an unexpected element to this recipe for spicy chicken wings. Maybe it’s the reaction that happens in the oven between the chicken fat and the baking powder that gives this extremely crispy skin. In fact, it’s so crunchy and full of taste that no one will know it’s baked and not fried! For the glaze, I love hot sauce, especially Sriracha. It’s sweet, spicy, a little bit acidic and SO GOOD! You can use any hot sauce you like, from Chipotle Tabasco to Frank’s Red Hot. Remember to use the 1:1 ratio between the sauce and the honey. If you like sticky hot wings, add less hot sauce and more honey. This recipe for Spicy Chicken Wings goes great with a cold beer under the Greek sun. You can also serve it as a mezze, perfectly paired with tirokafteri, a Greek salad and a glass of white wine like Assyrtiko. The acidity in this wine acts like lime juice, which is always great with funky flavors. Check out the video recipe and don’t forget to subscribe to my YouTube channel for more delicious and fast recipes here! 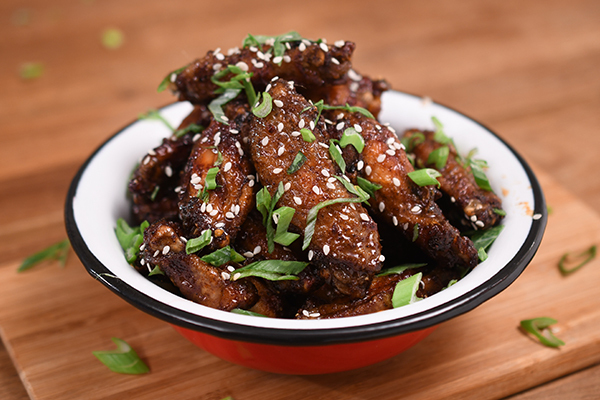 Sweet & Spicy Chicken Wings are a favorite appetizer for beer and/or cold refreshments. 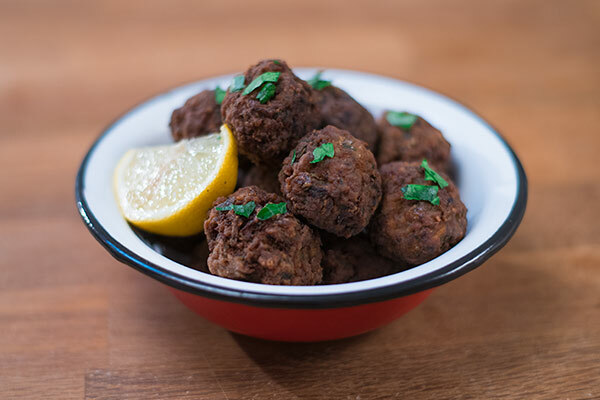 You'll love this delicious recipe for party food or meze platters! Whisk baking powder, paprika, salt, and black pepper in a small bowl. Place chicken wings in a large bowl. Toss half of the baking powder mixture over wings and mix to coat. Sprinkle remaining baking powder mixture over wings and toss to coat again. Place wings onto the baking sheet . Bake in the preheated oven for 20 minutes. Turn wings and continue baking for another 20 minutes. Transfer wings to a large bowl. Whisk honey, hot sauce, white vinegar, and sesame oil together in a bowl until glaze is smooth. Drizzle glaze over wings and toss to coat completely. Transfer wings to a serving bowl. Sprinkle scallion and sesame seeds over the top. Awesome recipe. I love chicken wings. Also love this video of yours Tasso. Keep up the good work.